Our standard 2″ x 3.5″ business cards, printed on premium 16PT cardstock, are anything but standard. Stand out from the crowd and leave an impression for your business that will stay with your clients long after they have shaken your hand goodbye. 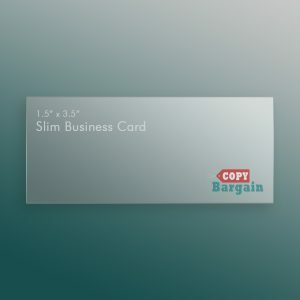 There’s a reason that the standard business card has been around for so long: it works! Help your business grow by taking it to the next level with a custom print design. We’re experienced professionals, which is why we feel comfortable telling you that business cards are not just a thing of the past. 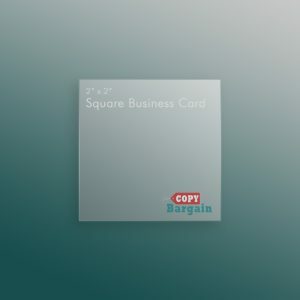 Yes, the Internet and the various social media sites dominate a large portion of marketing these days, but business cards leave a lasting, tangible memory with your potential clients. 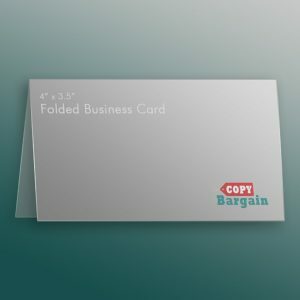 With our standard card printing you’re guaranteed to make an impact from the first hello, to the final goodbye. 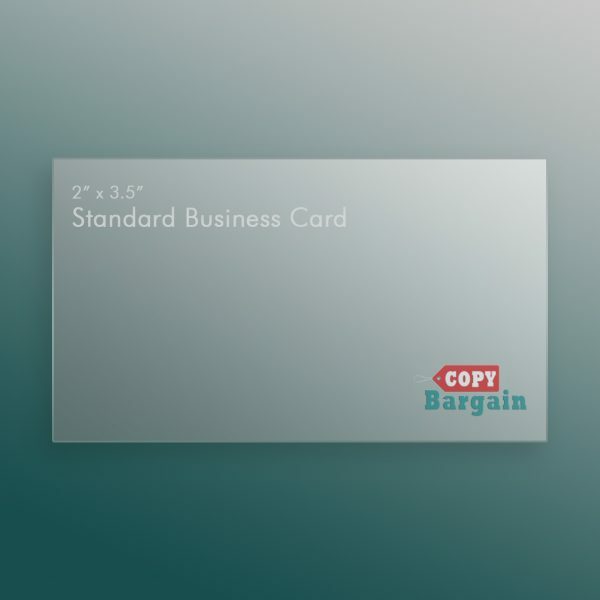 Copy Bargain’s standard business cards are always printed on the highest quality paper. We make every effort to make sure that your information is portrayed in the best and most effective way possible. From custom designs and logos, to free file checks, we will always go the extra mile to ensure that you’re getting just what you paid for—guaranteed.